Great way to work almost entire upper body focusing on your chest muscles. This can improve posture, arm strength and arm tone. 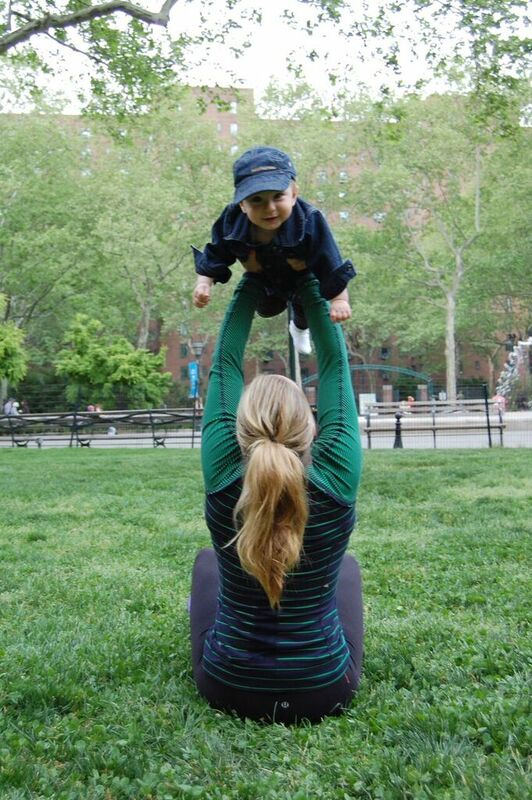 I do these when I need a boost in arm strength (for all that mommy lifting!). I find that even though Auggie is crawling and active he stays still because I put him underneath me and kiss him on each rep. This is a great way to engage with your little one, and ideal for those with younger babies, who might not be mobile yet. Great way to work your rectus abdominals other wise known as your “six pack abs”, I do not recommend doing sit ups if you have any signs of diastasis recti; this movement can exacerbate it, but for all others the rectus abdominals helps keep the internal organs intact and in creating intra-abdominal pressure, for example when lifting heavy weights (possibly your baby) or childbirth. 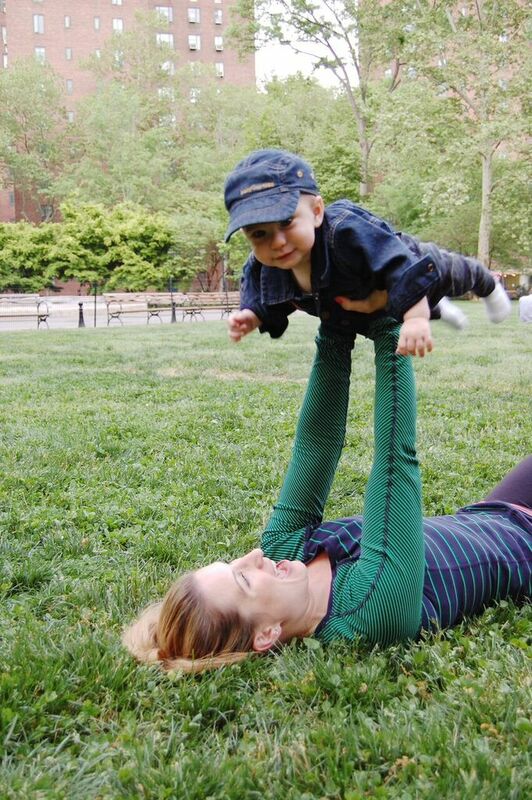 I like to do this exercise to get a boost in my core strength and let’s be honest, Auggie also squeals when I lift him from the lying to seated position, and that in and of itself is enough reason to do these all day every day! This exercise works your arms and targets your chest muscles. I like to do this exercise to tighten arms and tone chest area especially pre and post baby as that area tends to get larger during pregnancy and breast feeding. Doing a few reps with baby not only is great for your muscles but I fond Auggie loves the up and down motion.